Home › Energy-Efficient LED Lighting › Led Flashlight- Super Bright High Lumens Ultra Bright 5 Modes Cree Xml T6 Bla.. Led Flashlight- Super Bright High Lumens Ultra Bright 5 Modes Cree Xml T6 Bla..
Runned by 1 X 18650(Battery not included),this flashlight has the advantages of simple structure, convenient carrying, working long hours. Anti-reflective aluminum alloy coating makes it durable for long-term use, featured with waterproof performance, perfect suitable for household, outdoor activities, hiking, night fishing, camping. 5 Mode: high / middle / low / strobe / sos, ensuring more secure for outdoor sports and work. 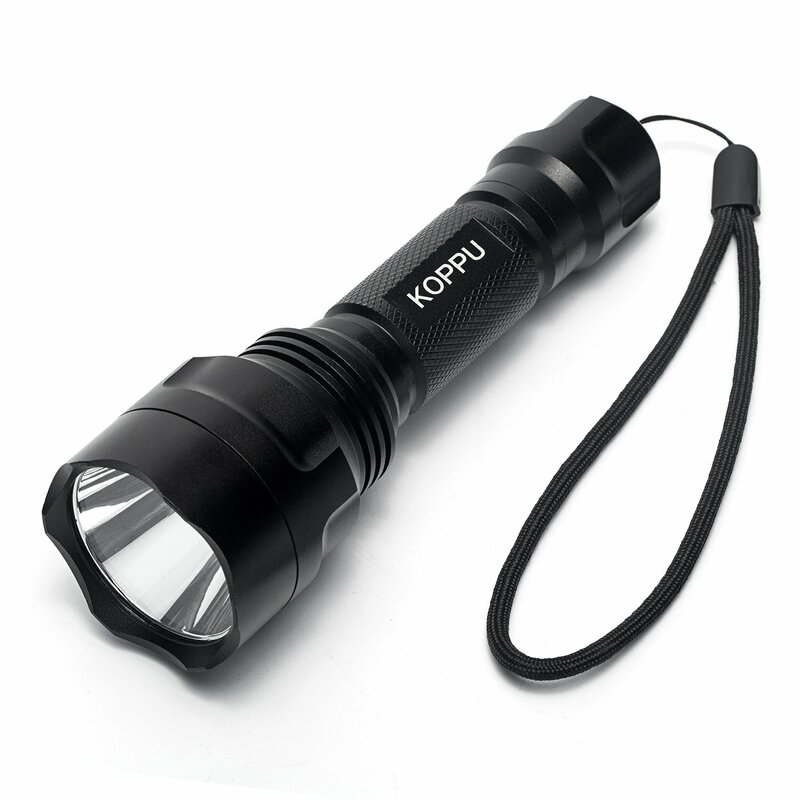 All of our flashlight ship from USA, and authorized by KOPPU!!! If it doesn't meet your expectations in ANY way, we will promptly replace or refund you without any hesitation, this is our After-sale warranty!